Over 90+ viewed today, so act now before it’s gone! These totes fit carry-on standards for most major airlines and fit in most over-head bins. 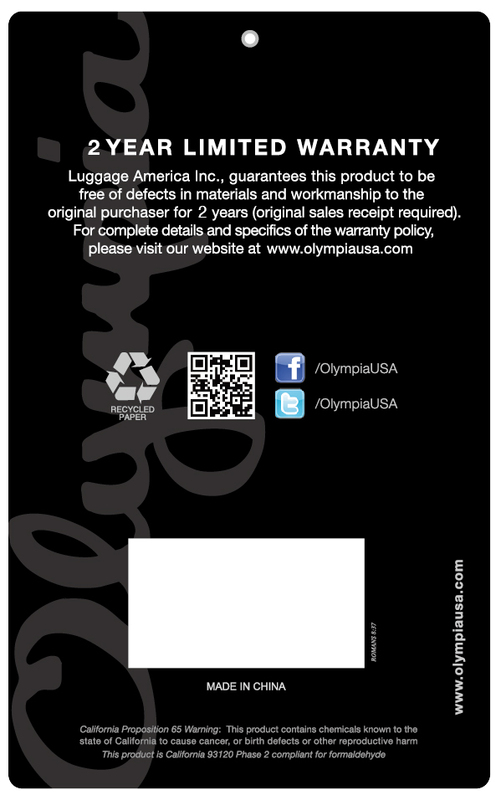 2-year warranty from Luggage America/Olympia USA. If purchasing a Used / Open Box item: Used / Open Box items are items that have been purchased and returned by Groupon customers. These items have been inspected, graded, and in some cases cleaned and repaired. Used / Open Box items do not come with a warranty, but are returnable under GrouponÕs standard return policy. Products may not arrive in original packaging. Learn more about Used / Open Box conditions here. I love it ! It is larger than I thought but it’s perfect! It is strong and sturdy! It is a perfect size for day-to-day needs as well as for carry on for flying. It is roomy, light weight, and attractive. It rolls very easily. I like the fact that it is tall enough that I can actually roll it using the cloth handles without always pulling out the telescoping handle from its clever hide-away compartment. This is now my seconding. I use it every weekend and love it as I cannot carry heavy things anymore. I just put in this tote and off I go! Love, love, love it! Works great. Just what I was looking for on short trips. I love it. The colors are beautiful and I’m able to fit everything I need in it for work. The Rolling Shopping carts are nice, they're cute to! Bigger interior than I expected which is wonderful. Looks fantastic. I haven't used it yet to carry school supplies. It looks as if it will be perfect for the job.